Strike action has hit two of Europe’s biggest airlines leading to hundreds of planes being grounded and tens of thousands of passengers stranded. The walk-outs, which both focus on the issue of pay, have hit German-based Lufthansa and Air France. 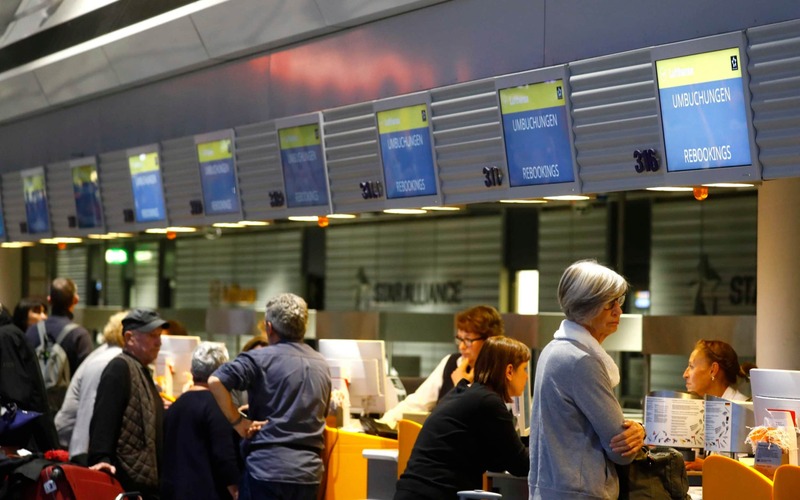 Lufthansa has been forced to cancel more than 800 of its 1,600 scheduled flights because of the walk-out by public sector ground handling and support services workers within the Verdi union at Frankfurt, Munich, Cologne and Bremen airports. While none of the airline’s own staff are striking, the action has meant 90,000 of its passengers have suffered cancelled flights. In France, those on strike are employees of the airline and their action is linked to demands for a 6pc pay rise. 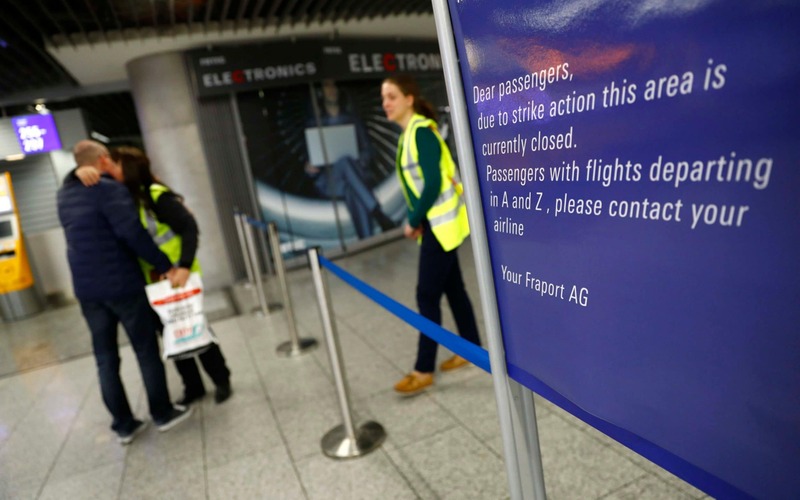 Heathrow airport said it was largely unaffected by the strike action, although seven of the 12 Heathrow-Frankfurt flights with Lufthansa were cancelled on Tuesday. Gatwick was unaffected. Lufthansa said it was “completely unacceptable” for the Verdi union to impose cancellations on passengers. Public sector ground handling and support services workers within the Verdi union have walked out at Frankfurt, Munich, Cologne and Bremen airports. Bettina Volkens, who heads up human resources at Lufthansa, said: “Lufthansa is not a part of this collective bargaining conflict, but unfortunately our customers and our company are being affected by the consequences of this dispute." While a normal service is expected in Germany on Wednesday, the strikes in France will continue, with further walkouts planned on four more days in April. Air France has said that it faces €170m (?148m) of costs from a wave of strike action by its employees.